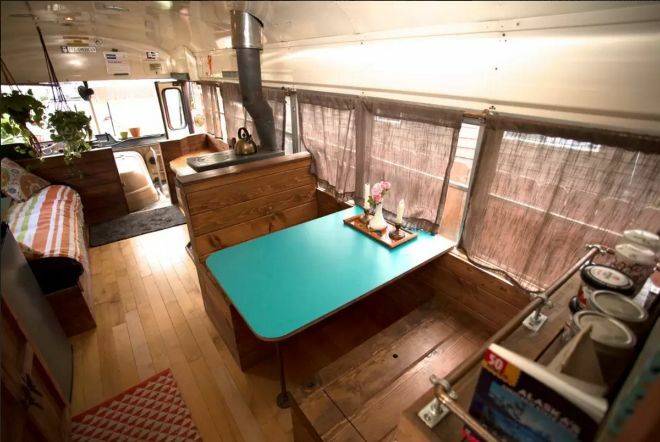 Theresa and Carlyle of Anchorage, Ala., are renting their 1984 Blue Bird Bus as a guest room on Airbnb. According to Airbnb, the company was founded in 2008 in San Francisco, Calif., as an alternative to traditional vacation lodging. 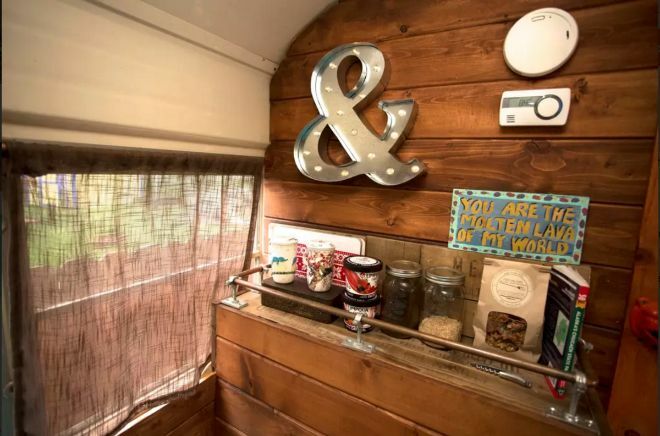 People rent out homes, rooms and even buses as guest rooms for people on vacation. A Bus Named Nellie states that in 2014 Theresa and Carlyle bought the bus and turned her into a home for themselves and their two children. 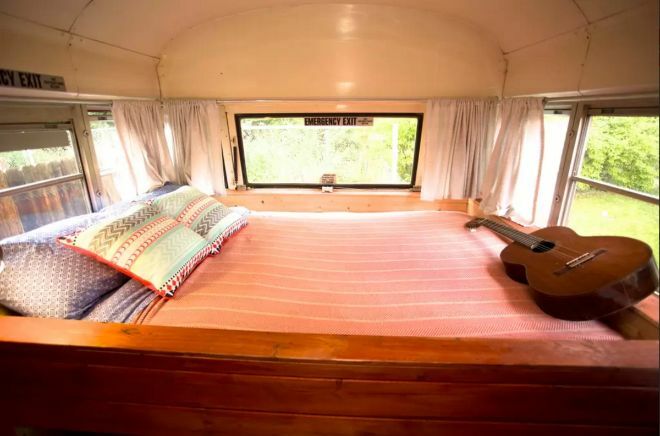 After living in what has been nicknamed Nellie for a year, the family turned the bus into a guest room that they rent out to travelers to the Nunaka Valley area. 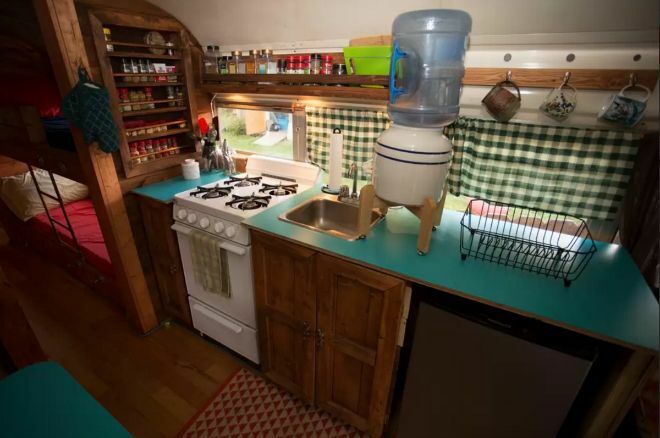 The Airbnb site states that the bus is not well insulated, but plenty of blankets and a space heater are provided. A comfortable sofa is in the main area and is perfect for relaxing. Maple is used for the floor and all the woodwork is custom-built. The kitchen table seats four easily. 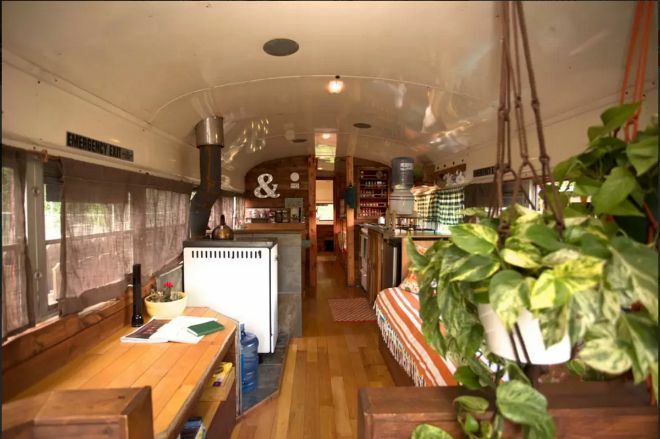 The bus contains a full kitchen. The spice cabinet gives many options for creating delicious food. 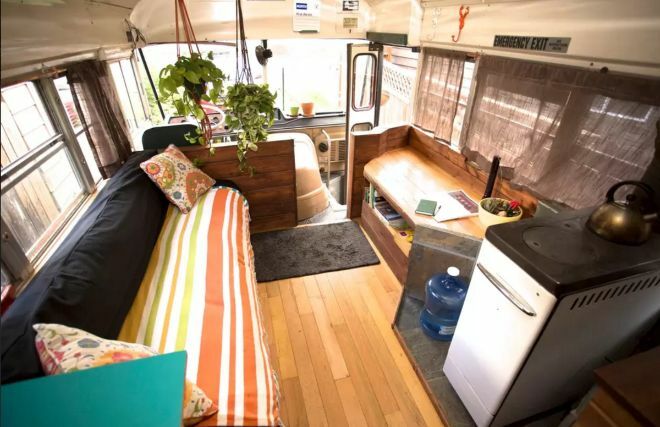 A queen-sized bed is built in the rear of the bus. 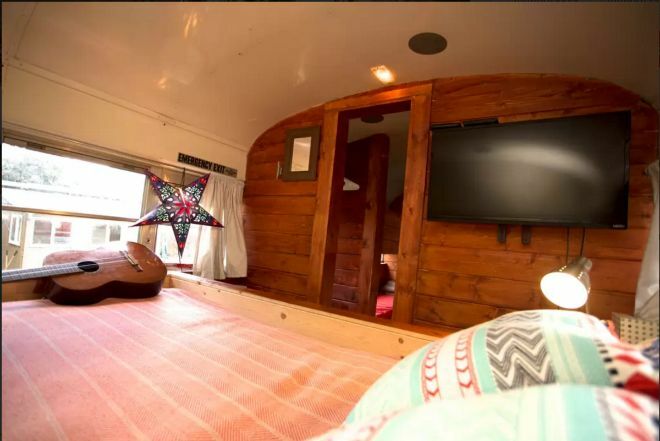 The bedroom affords some privacy from the rest of the bus, and a television is mounted on the wall for easy viewing. 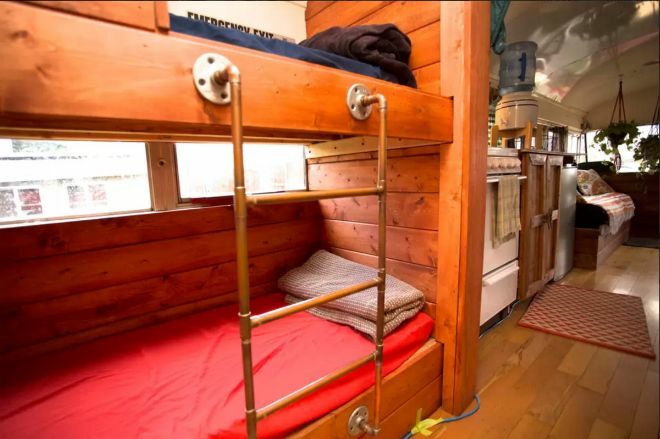 A set of bunk beds makes up additional sleeping for two. 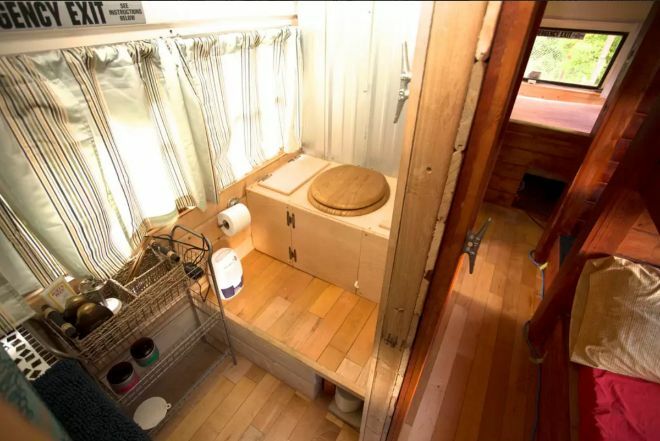 Although the bus doesn't have full plumbing, a composting toilet is included inside Nellie. 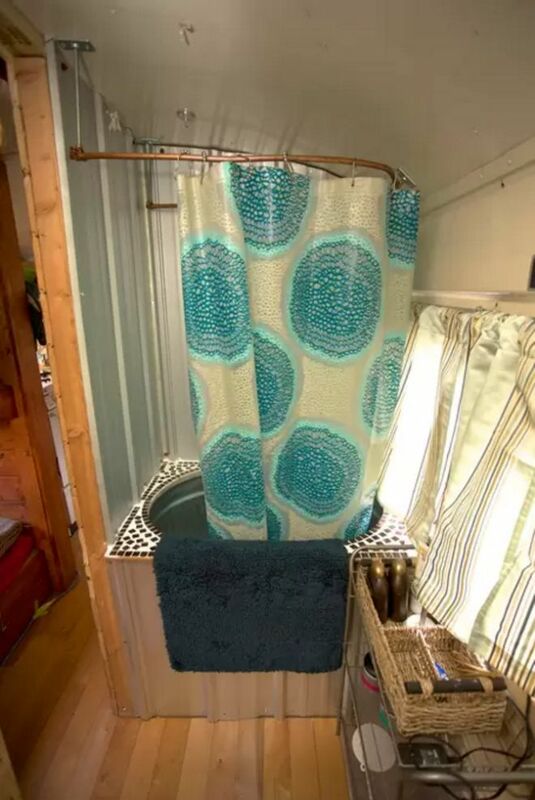 Hot showers can also be enjoyed as a mini, solar shower is also installed. 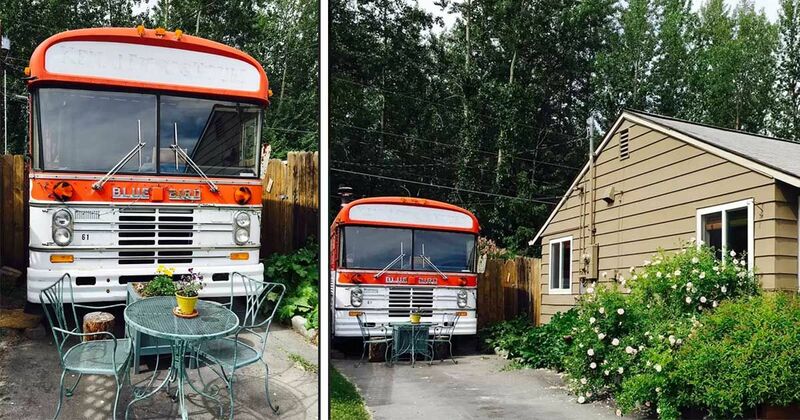 For those who want to explore the area around Anchorage, Nellie is a gorgeous "motel." She may have been retired from giving active tours through Denali National Park, but she still has plenty left to give.